MANILA, Philippines - Weeks before President Rody Duterte assumed the highest government post in the country, issues of extrajudicial killings in Metro Manila and nearby provinces have already been bannering the headlines of all news companies. Majority of the suspects-turned-victims were linked to drug-related crimes. 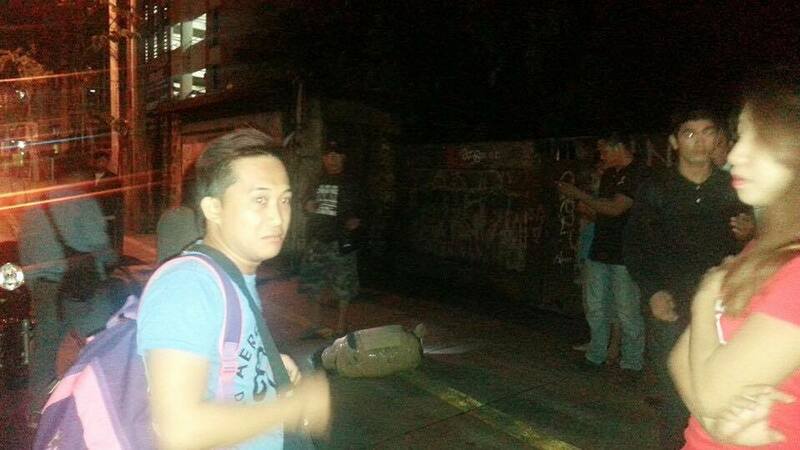 But early this morning, July 10, an alleged snatcher was unlawfully executed in EDSA, Quezon City. Extrajudicial killings are on the rise. Aside from drug pushers, snatchers are now also being unlawfully executed. 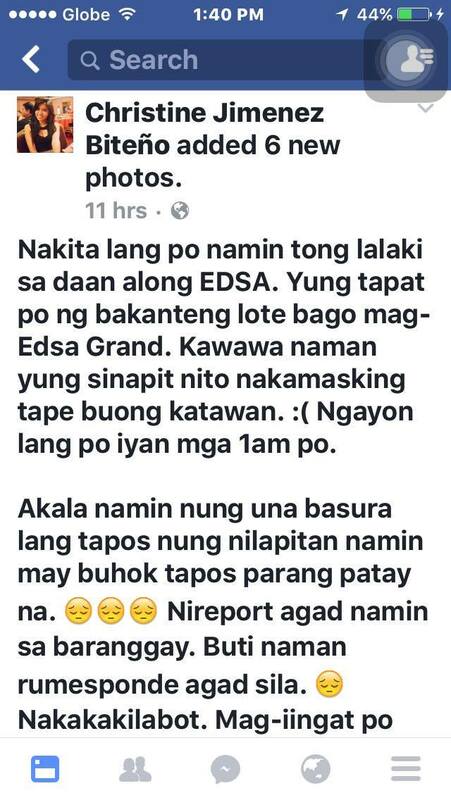 Beteno narrated that she and her companions saw the body in front of EDSA Grand Central Terminal at around 1:00 a.m. At first, they thought that it was merely a bag full of trash but when they got closer to the unidentified object, they immediately noticed the exposed hair and from there they concluded that it was a corpse. They hurriedly reported the incident to the barangay outpost and the officers on duty responded to the call. July 12 UPDATE: Quezon City Police District (QCPD) Senior Supt. 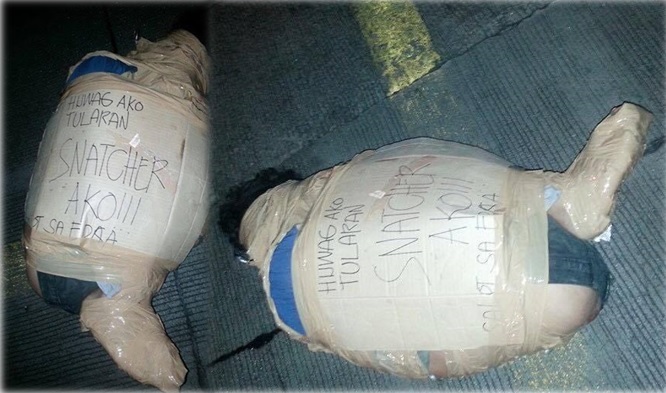 Guillermo Lorenzo Eleazar said that another lifeless body of alleged snatcher was found in separate place in Quezon City on Sunday. Eleazar added that the unidentified persons were victims of summary executions. Earlier this week, a group of masked vigilantes appeared on TV and confessed that they are hunting and pinning down drug pushers and their big bosses for the sake of the Filipino people. The armed castigators also exclaimed that they are helping and supporting President Duterte in wiping out the illegal drug trade in the country. Netizens are somehow convinced that the vigilantes who use to kill drug pushers, are more likely, in-charge of the demise of the EDSA snatcher due to the pattern and way of executing their victims. Last Thursday, a uniformed policeman, PO3 Michael Lee Manalad of Malolos Police was found dead with gunshot wounds all over his body in a grassy and vacant lot in Meycauayan City, Bulacan. Like any other summary execution victims, Manalad was also wearing a signage: “Pulis na pusher. Wag tularan.” Although still blank on P03 Manalad’s case especially on the suspects, the PNP believes that it is a vigilante attack. Former Justice Secretary and now Senator, Leila De Lima called out the attention of President Duterte and urged him to stop condoning extrajudicial killings. The lady senator also informed the public that she will probe the rampant drug-related killings in the country because Philippines is now becoming a massive killing field. She also urges the authorities to respect the suspect's human rights and follow the due process of law. Netizens have split reactions on the recent killings. Many say that it is just right for those criminals to get killed so that Philippines will once again become a safe haven for its residents and foreigners. Some say that the on-going war against drugs and crimes are really terrifying because no one knows if the executed people are real law offenders or innocents. Some fear for their lives and clamored that murders and homicides are now easy to be covered up. One can just simply put a pusher signage on the dead body so that the culprits can run away from authorities. They also fear that this unfortunate events can happen to them or their family members. All photos courtesy of Facebook/Christine Jimenez Biteño.